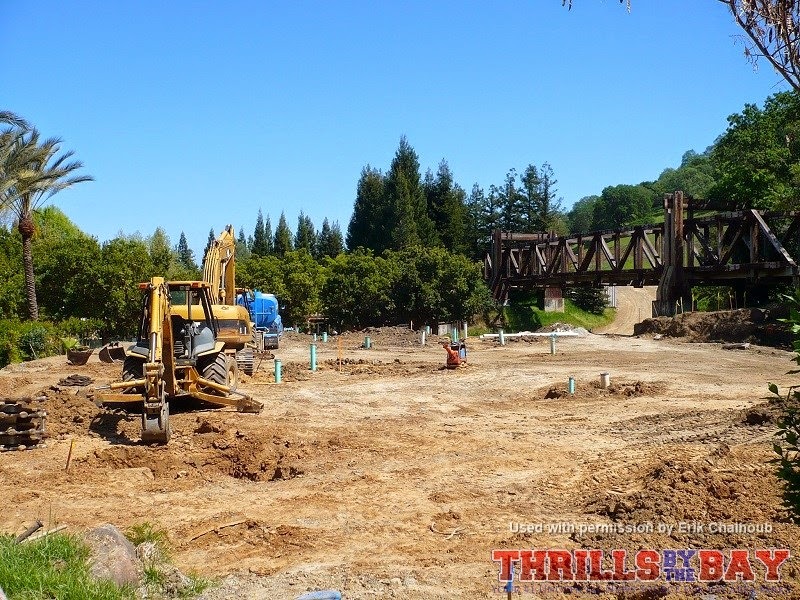 Thrills by the Bay: Gilroy Gardens - Water Oasis in Progress! Gilroy Gardens - Water Oasis in Progress! Gilroy Gardens is one of the smaller parks in the bay area and is often referred to being a "hidden gem." The park is loaded with beautiful landscaping and contains family rides as well. The small park is nestled among the foothills of Gilroy, CA. Since the park is a non-profit, the park hasn't really expanded/gotten any major attractions compared to it's neighboring parks California's Great America, Six Flags Discovery Kingdom or even the Santa Cruz Beach Boardwalk. With this said, Gilroy Gardens’ first major addition in nine years is beginning to take shape. An overview of the site where Water Oasis will be. The area is full of trenches and pipes. Coming Soon... Signs and fence surround the area. Gilroy Gardens’ last new attraction, Bonfante’s Splash Garden, was constructed in 2005. 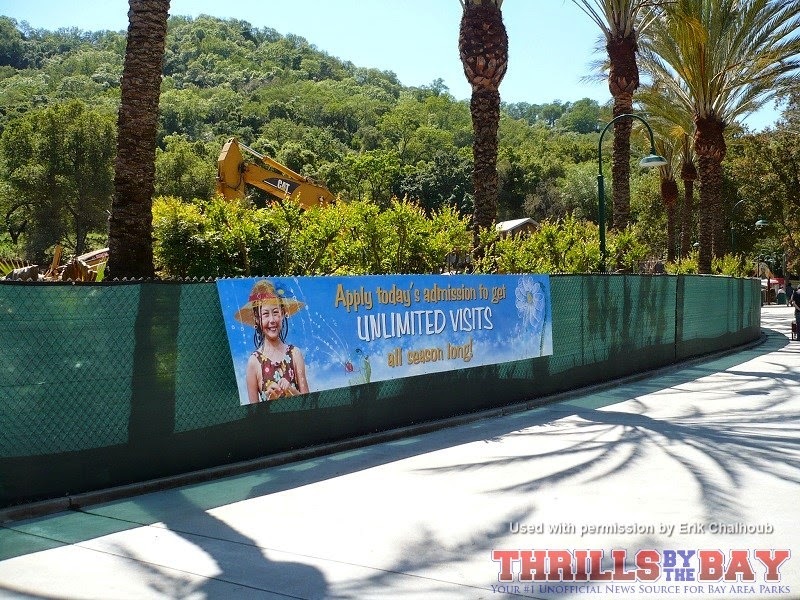 Make sure you follow Thrills by the Bay for updates on the construction of Water Oasis. Article provided by Erik Chalhoub - All photos used with permission.